Some further update photos of the Bizzarini to follow from previous post. 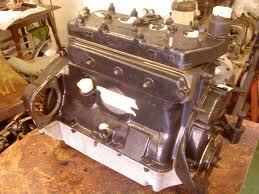 Through the past week I have been able to almost complete the late thirties Morris 8 engine. As previously mentioned the engine had a large amount of internal cracking behind the dry liners. I normally avoid weld repairs almost totally, but this was an exception as we had very little alternative. The problems with welding a block of this age can be severe. Some will crack further, even under controlled temperature changes, some will contaminate causing poor welds and sometime areas of extreme hardness that will then cause machining problems. However all of this doom and gloom was not to be, through Formhalls Vintage and Racing Engineering near Downton, we had the block specialist welded. Formhalls machined new liners as necessary, new valve guides and reface head, block and valves and seats. All worked out really well, although, there was a little misalignment or heat effect on the housings which made the crank and cam a little stiff to rotate. Close measurement of individual sections allowed a combination of polishing and local dressing to correct this. 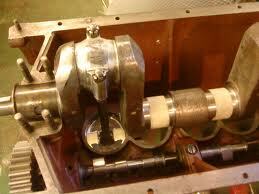 Also you will see the recovery of some historic damage to the rear seal carrier using "Metalspray" equipment. Although this is not the best quality, keep watching past the race start, there is some really good armchair swaying "nip and tuck" racing! Northbay Vintage Racing from Graham Charnock on Vimeo. Corsa Moto Classica at Willow Springs Raceway from Illking on Vimeo. Workmate Dan, trying the Cafe Racer for size. I did my first 230mile round trip commute on her last week, brilliant.....grinned all the way, except when the traffic cop followed me for a few miles. Illegal number plate, anyway he must have got the call for something more important 'cos he overtook me and went elsewhere? Thank you to him. 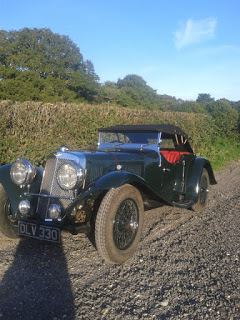 I am very fortunate to be involved in this lovely 1926 Delage DISS project. I am sorry, the second photograph is not this Delage as I had thought. However, it is a very similar body. This is the first stage of my part, the car has been owned by the same family for many years, many items have already been restored perhaps 40 years ago. To be safe we have to backtrack a little. Here I will (photo to follow) be cleaning and paint stripping to inspect thoroughly for any sign of cracking in critical areas. It also gives an opportunity to assess the paint thickness, durability etc. Interestingly there are some signs of a mid grey /blue paint colour on the original stub axles. I am really lucky to have such a variety of work. Although most of my time is with pre war cars, sometimes I come up a little newer. This fantastic machine has been taking some of my time this week although I can't claim to be doing a great amount, just some machine work in the drive train. The car is an Iso Bizzarrini from approx 1964, fitted with a race tuned Big block Chevy producing something over 500hp. Last year gave me the opportunity of a test drive after some mechanical work. What an amazing experience! As you would expect it shoved me into a world of huge torque and noise, this raw barely refined racing car filled me with a particular smell similar to an old American aircraft, gave me a hint of claustrophobia and shocked me with a "rat at tat" of small road chips that have been ripped away and flung in to the minimal wheel tubs by those huge, sidewall straining tyres stretched against oversize rims. But above all it was the pure nostalgia, spirit and history that overwhelmed by senses. This car is straight from those sixties motorsport magazines and movies like "Grand Prix"and "Le Mans", those posters on my 1969 and 70's bedroom wall and even those early "Herbie" films. More photos to follow as the car is rebuilt. Full details of the company responsible for this project will also follow. Some further work on the latest Daimler Sleeve Valve engine. 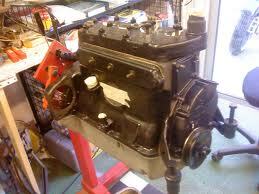 Having removed various fittings, the sump has been lowered to assess piston removal. 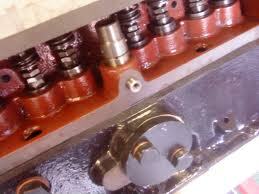 The previous engine would allow the pistons and rods to withdraw downwards past the crank. 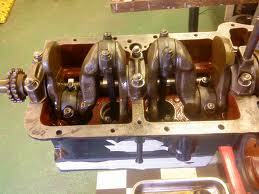 Unfortunately this slightly later engine has an oil deflection tray which does not allow access to lower the pistons. To remove the tray, the block has to be removed, followed by the the sleeves (these require the removal of a pin from the little con rods, this pin is held by a very fiddly taper pin, as on the previous early engine). Once the sleeves are withdrawn up and away from the piston, the tray can be removed and the piston rod assy can be withdrawn. Contrary to normal practice the sleeves must not be cleaned more than the absolute minimum as the grooves machined into the sleeves deliberately promote natural carbon build up to form a "natural " seal. Adrian Denman : Car Restorer from Stephen Turner on Vimeo.